No images of SolarWide Pty Ltd Installations. SolarWide is based on the Sunshine Coast and serves Brisbane and areas throughout greater south-east Queensland. The company has connections with the top solar panel manufacturers and sellers in the industry, meaning it can purchase quality items and pass the savings on to its customers. 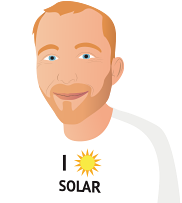 People can expect an affordable service, as well as the expertise of a dedicated solar consultant. 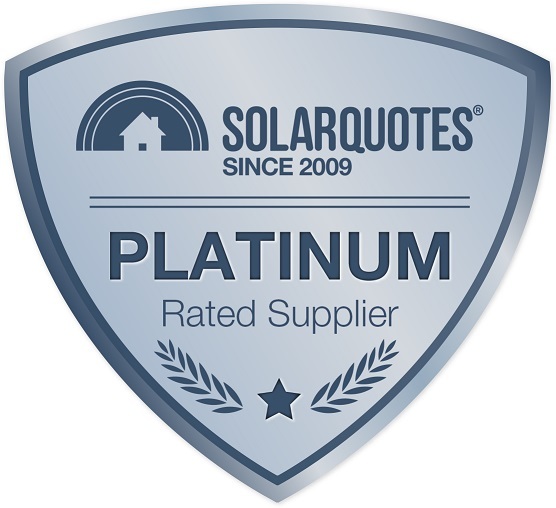 Solar power systems from SolarWide come complete with a five -year installation warranty, as well as a 25-year manufacturer's output warranty and ten-year product warranty. The company endeavours to install all systems within four weeks. Installation was done during construction of our new home with SolarWide doing prelim wiring at frame stage and final instal some 4 months later. Their salesman (Pete Hamel) was easy to deal with and honest in his advice. Salesperson Lee was happy to educate us, talk about the benefits, and didn't pressure us to purchase. He knew he was the first to come and quote, and gave us advice as to the questions we should ask other companies. He did not denigrate others. SolarWide was not the cheapest, but we feel offered the best overall system for our needs. Installers Jarron and Craig arrived on time, and got on with the job. Left a tidy worksite on departure. The salesman was very knowledgeable, patient and answered subsequent questions quickly. Even though this wasn't the cheapest system our analysis showed it'd deliver the best long term result for the price. We ended up with 21 x REC N-Peak 315w panels with a 6.615kW Fronius inverter. Install happened on schedule and the installers worked hard to get the system installed on a very hot day. It's worked flawlessly since installation about 2 weeks ago. Thanks for your help in recommending Solarwide, with so many solar companies out there it's difficult to know whether you're talking to the right ones. ps of the 3 recommendations one weren't interested in coming out and only send through a quote (this eliminated them from the start). I went with Solarwide because they were the only ones that said that my existing cabling wouldn't handle load and I would have constant trip outs. Distance to meter was over 100m from installation(we are rural). Luckily there were 3 meters in box so they suggested converting to 3 phase, and therefore a veritable highway for the current. Worked out a new plan on site and everything went well. Decided to do it once and do it well so went for 31 LG panels and 12.5 Kwh Fronius Inverter... certainly not a cheap system but worth the extra. Installed on flat roof areas made of waterproofed ply on substantial bearers. Tlited panels would have been visible from inside the house as we have a central pool and single story waterfront home at Noosa Waters. They would also not have fitted in the available space so would have needed a smaller system. After much thought went for a flat installation with optimizers on all panels and additional work by our own Waterproofer during installation. Immaculate service by SolarWide during all stages of advice, installation and commissioning as well as after sales follow up. Very attractive installation ( from on the roof ) but invisible from inside the house and the pool just as hoped. First full day yesterday and made 51 Kwh. Highly recommended and thank you for your excellent guide and website as it was frequently consulted at all stages. Our focus was on products with European heritage rather than Chinese-made products regardless of the parent company location, even if it meant spending a bit more. However, we did not opt for the most expensive option offered for a number of reasons, not the least of which was that we are in our seventies and at this stage of our lives we don't know how long we can manage to stay in our own home and reap the benefit of this investment. Our experience with Solarwide was great. Adrian was really helpful assisting us in choosing the right panels and inverter for our needs.